KURZ Karkassenhandel is one of the first certified professional disposal companies. Our Landau and Wendlingen locations are checked by a certification company at regular intervals. All assessment, validation and certification procedures are processed by numerous experts with different expertise from all areas of industry and services, so that reliable evaluation is guaranteed. The certification does not just represent reliability and an insight into our work for our customers, they are also confirmation to us that we are doing the right thing: Quality, professionalism and integrity are the top priority within our company. We work on being able to provide you with the best possible service every day. We are a recognised training company. Independently of this, from a commercial perspective we ensure that all of our business transactions are processed 100 percent correctly. We take care of professional processes, continue with the further education of our employees and are recognised as a training organisation by the German Chamber of Industry and Commerce. 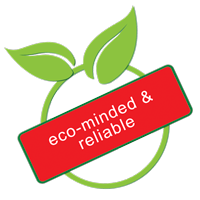 We understand scrap tyre disposal against the background of protecting the environment and sustainability as an important social duty, the conscientious pursuance of which is close to our heart for all of us, both now and in the future. Put your trust in proven competence in scrap tyre disposal. This is the only way for your scrap tyres to get to the right place in the valuable material cycle and not end up on unauthorised tips where they have to be disposed of at the general public’s expense. However, should you be dissatisfied with our service in spite of this, please contact us here. We are open to improvement suggestions.